Ships today if you order in the next 13 hours 19 minutes. 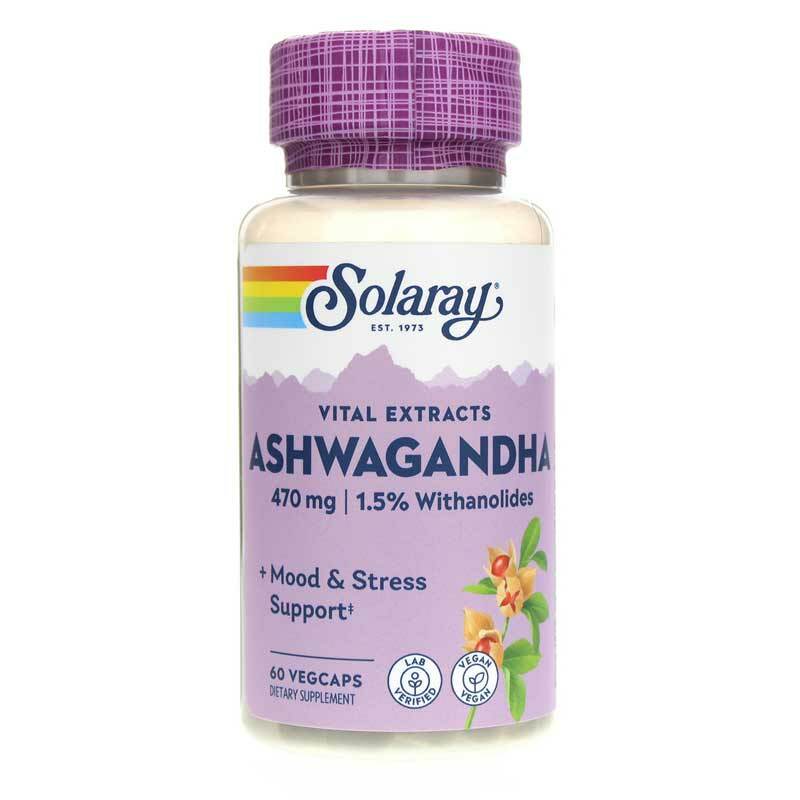 Ashwagandha by Solaray is an herbal supplement for natural stress relief support. This adaptogenic herb has traditionally been used to nourish the nervous system and promote calm. Stress and fatigue go hand in hand. When you don't have the energy to do all the things you need to do, you get stressed! If your fight-or-flight reactions are set off by the littlest things and you're feeling "tired and wired" your body is trying to tell you something. While it's probably not possible to avoid stress completely, you can help your body develop a more balanced response to stress. Adaptogens are herbs that may help nourish the nervous and endocrine systems to help the body "adapt" or cope with everyday stressors more healthfully. 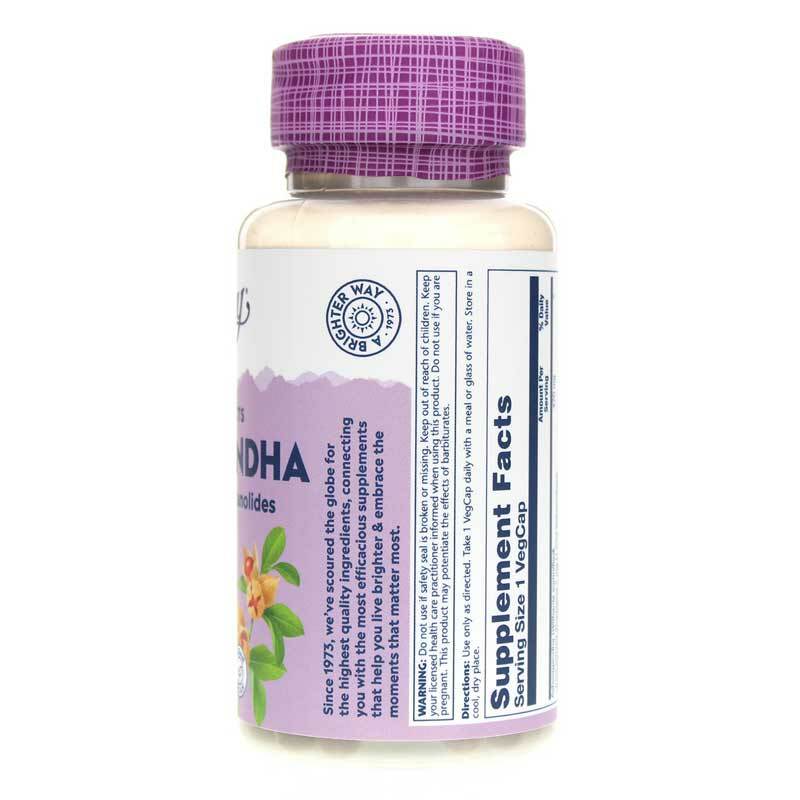 Ashwagandha (withania somnifera) is an herb long-used in Ayurvedic (Indian) medicine as a natural nervous system tonic to relieve stress, anxiety and fatigue. 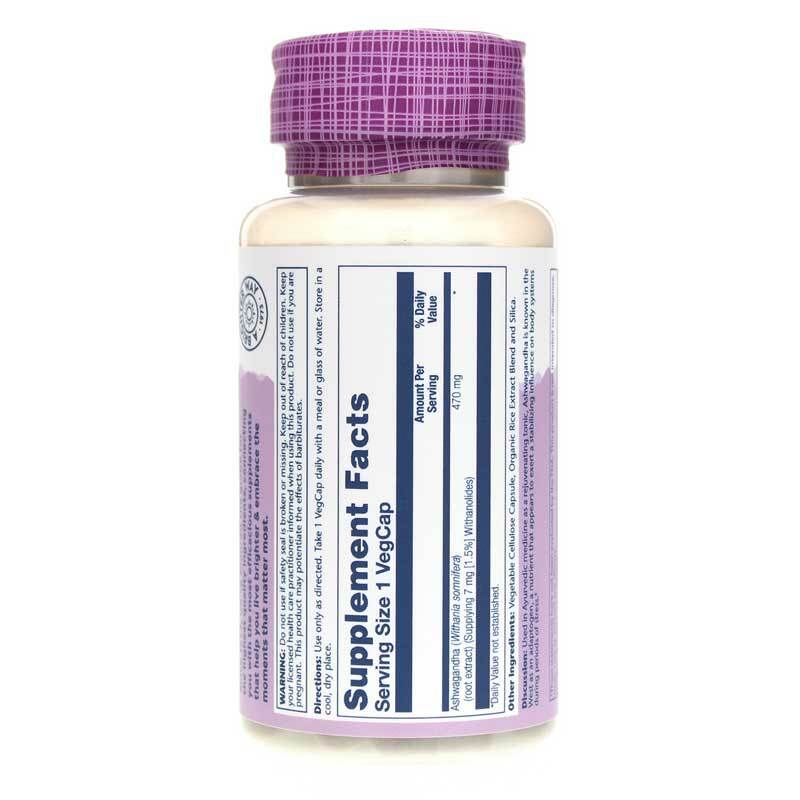 It has antioxidant and anti-inflammatory properties and may also support healthy immune function. During times of stress your body may need extra support to help you maintain the energy you need just to get through the day. Instead of stimulating your body with caffeinated drinks or sugary snacks - which just leave you feeling even more fatigued -consider nourishing it with ashwagandha, which can help you remain calm and support robust, resilient nervous and immune systems. Other Ingredients: Vegetable Cellulose Capsule, Cellulose and/or Maltodextrin (as Carrier), Magnesium Stearate and Silica. Adults: Take one vegetarian capsule one to two times a day with a meal or glass of water. Store in a cool, dry place.